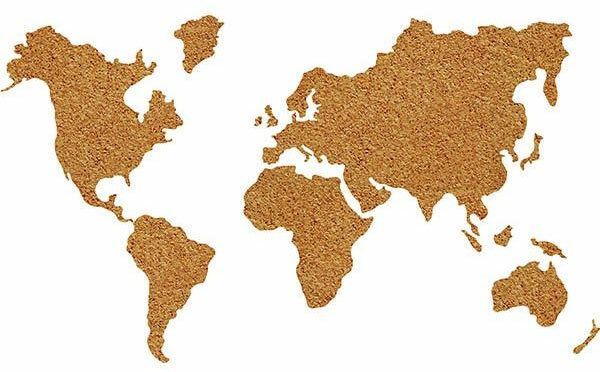 This peel & stick map of the world is also a fully functional corkboard. 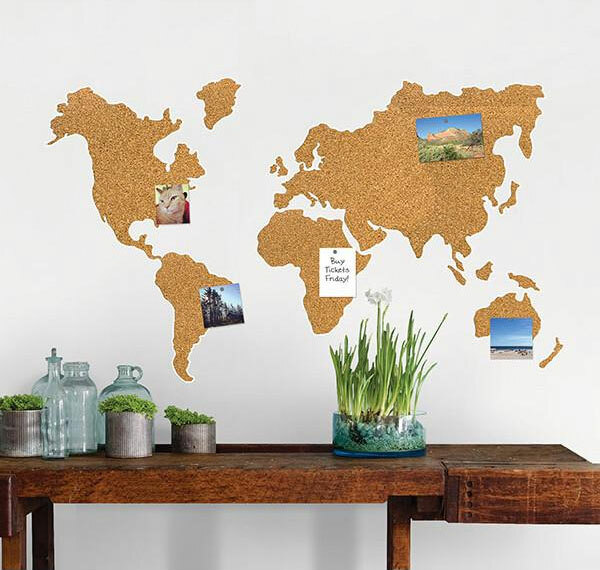 Enjoy the functionality of a cork board with a stylish and modern world map. Comes with 10 push pins.